Whether you work for a marketing agency, a marketing team in-house for a company, or as a freelance marketer, you face the same pressures: More content, faster! And increasingly, that content MUST be video content. The good news? The technology now exists for you to bring an entire video production team with you everywhere you go. In fact, you’re already doing it. It’s your smartphone! And combined with the power of Powtoon’s new companion app, Powtoon Connect (available now for iOS and Android! ), your phone is an extension of your Powtoon Studio. Here are 3 easy formulas for churning out awesome content with no extra equipment or expense. Use Image Grids under the Scenes menu to easily collage all the sweet shots from your event! Select “Upload Media,” which will bring up your camera roll. Choose “Select” and tap all the images and videos you want to include in your event roundup video. 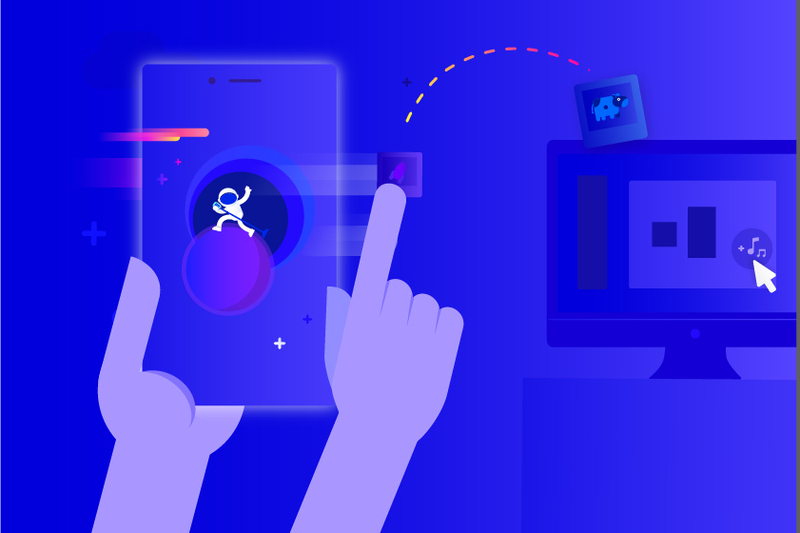 Once you upload your media from your Powtoon Connect app, your images and videos will immediately appear in your Powtoon Library. Use the Image Grids in your scenes menu to collage your still images. Add any video clips to their own slides. Add swoops, swooshes, and any text you want to include. Their answers are always great, authentic, and usually, my interviewees have their own elevator pitch down pretty well, which means their answers are usually short and sweet. Subscribe to our channel for more interviews! One last reminder: Keep this video under 90 seconds. The idea is to create short, engaging content on-the-go, not to create a huge pile of editing work. 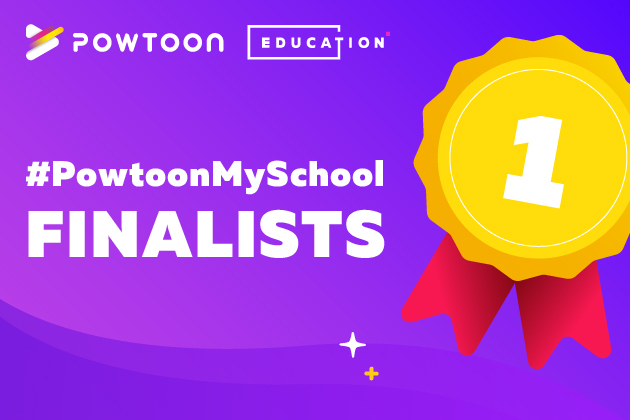 Launch your Powtoon Connect app, select Upload Media, and choose the video interview you just recorded. Once you upload your video, it will appear in your My Media folder in the Powtoon Studio. Before you add your video, create an intro slide and an outro slide. Employ your brand colors, include a character in that first slide to grab attention. Include any series-specific branding you come up with for your interview series. After you upload your video clip with Powtoon Connect, just select it from your My Media folder under the Background menu. On a blank slide, select the Background menu, then select your video file. If the clip is longer than the slide you’re adding it to, Powtoon will automatically create additional slides for the rest of the video. Choose a soundtrack, and remember to adjust the volume relative to the background audio in your video clips so everyone can be heard. *Pro tip: consider using the designed text options to add subtitles to your video! Get professionally designed text in one click under the Text menu! With the explosion of Instagram Stories, the vertical video is finally taking its rightful place as the king of video viewed on a smartphone. And as more and more brands get engaged with Instagram, they’re looking for vertical video content to share with their networks. This builds engagement with their followers AND builds awareness of their brand. Here’s an easy way to create a vertical mobile screencast, with a touch of awesomeness from Powtoon. There are tons of free and paid mobile apps out there that allow you to record a screencast. Find the app that’s right for you. It should be one that you can access easily, you will need it to send the recorded files to your camera roll, and it should be well reviewed! When you have your screen capture app selected, record your screencast. It could be something as simple as showing customers how to launch and use your app. You could focus on one particular feature or function. You could even use your phone as a palate to film something creative, say a text conversation between two potential customers raving about your product. Just like our last two examples, this step is super simple. Launch the Powtoon Connect app, select “Upload Media,” and select the video file you want to add to Powtoon. For this video, you will want to be sure you select a vertical aspect ratio in the Powtoon studio. 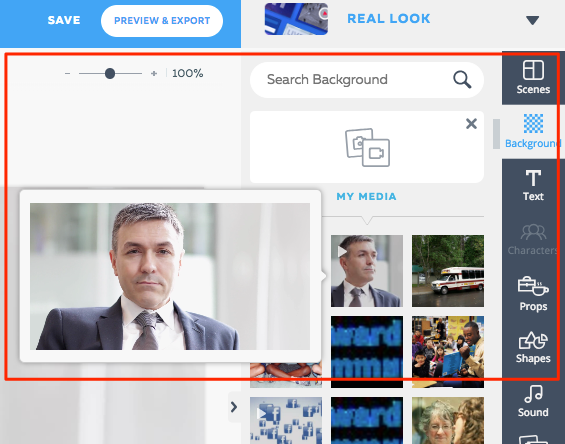 Go to backgrounds, and select your screencast to upload as your video background. Use sparkles and swooshes to highlight important taps, swipes, or other moves that you don’t want your audience to miss. Use text overlays to add emphasis to benefits to your customers. When the task has been accomplished, consider adding a trophy or other celebratory prop. Here’s an example of a screencast I made this afternoon about how to upload media with the Powtoon Connect app. It was a sinch! These are just 3 types of videos that are now much more within reach for the everyday marketer. That means being able to create more video content in less time, without the expense of supporting a raft of video producers. Download Powtoon Connect for iOS or Android right now so you can turn your phone into a mobile video production team. Look out for more Powtoon Connect tips soon, including voiceover recording hacks and more. And be sure to let me know in the comments how your customers respond to your new videos!